Today was one of those mornings I wasn’t exactly sure what I was making for breakfast. I reluctantly dragged myself out of bed, faffed around the kitchen a little before I finally settled for waffles. Before making the waffle, I cored one pineapple and an apple and put them in the freezer to cool with some bananas. Then I spotted the mango juice I made the night before, that is when I came alive. 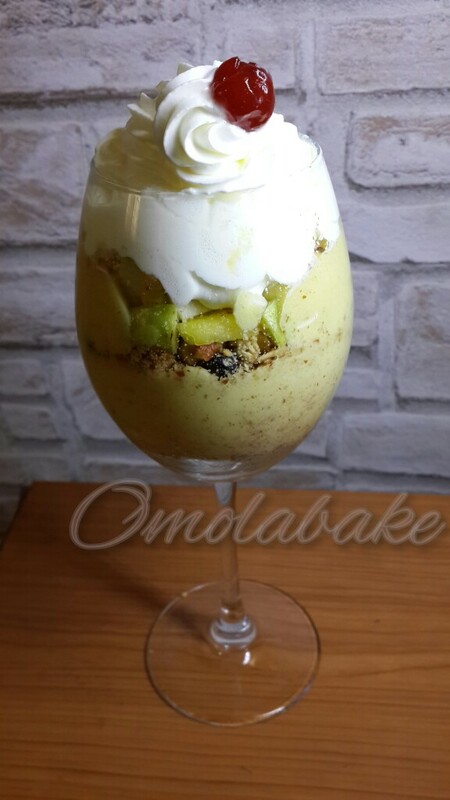 In a blender on high speed, blend, mango juice, coconut milk, low fat yogurt, frozen bananas to creamy blend. Mix almonds, granola, blue berries together in a separate bowl. 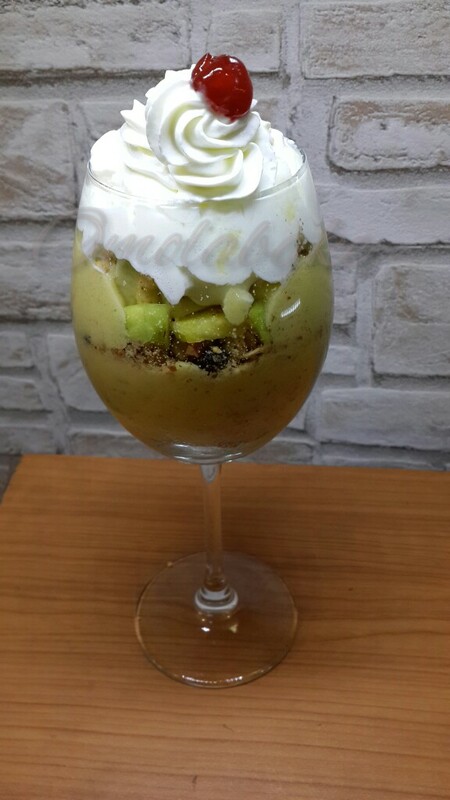 In a glass cup, assemble the ingredients, starting with the granola mix followed by Apple and Pineapple, next the Mango/Coconut blend. Repeat the process till you fill the cup. I topped with whipping cream mousse and a glacé cherry. 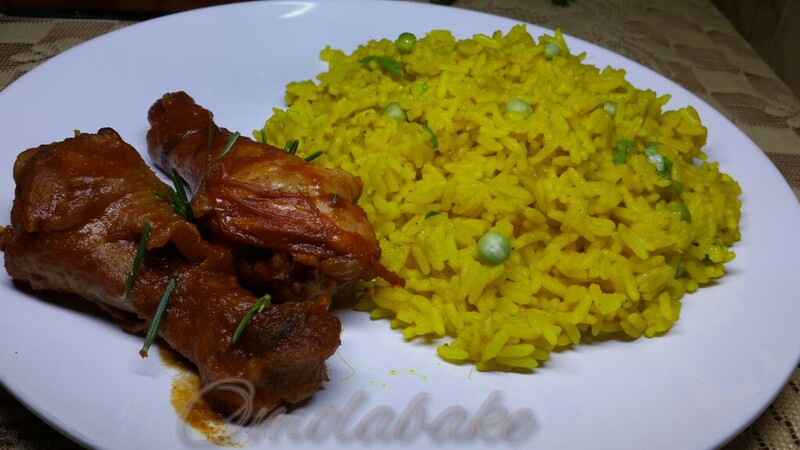 When I was in Uni, a girl who could pull off this type of Efo Riro had bragging rights with the boys. 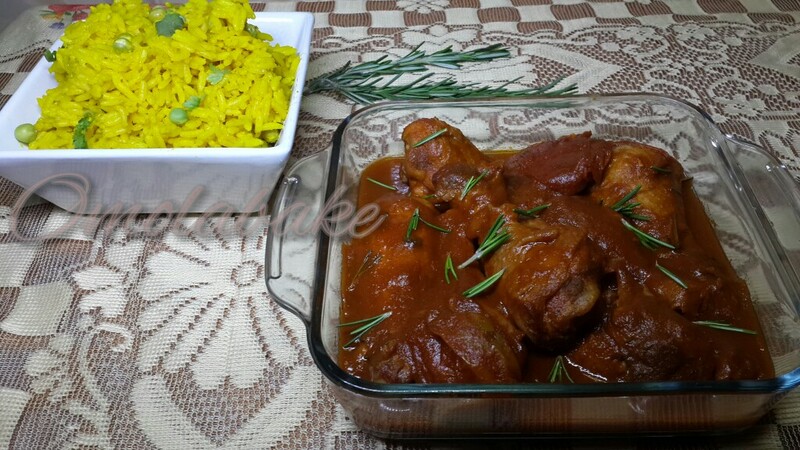 The recipe is very basic and it can be paired with a variety of meals like yam pottage, rice, Eba, Amala any of your staples, yam, plantain, corn…. 8. 1/4 cup Vegetable oil. 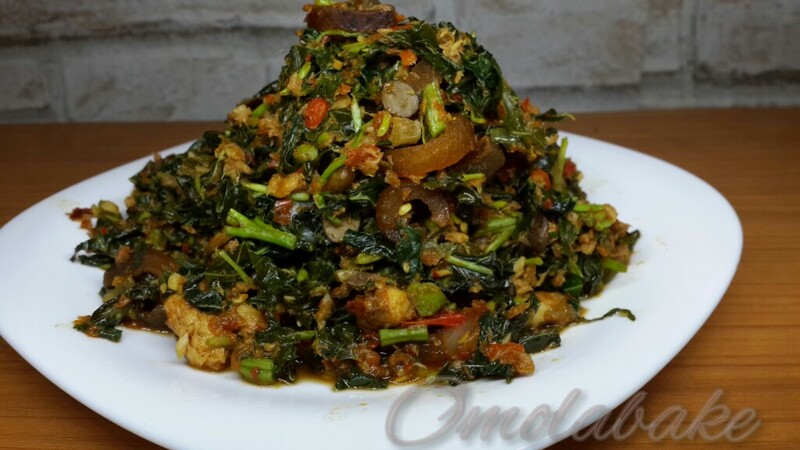 Heat up vegetable oil and add Iru and chopped Onions, as it starts to fry, it would gives off a pleasant fragrance, now add the ponmo, allow the ponmo to fry slighty, then add the pepper. *DO NOT COVER THE POT. Covering the pot would trap the stem and make the pepper soft and stew and we don’t want that, the intention here is to fry the pepper. 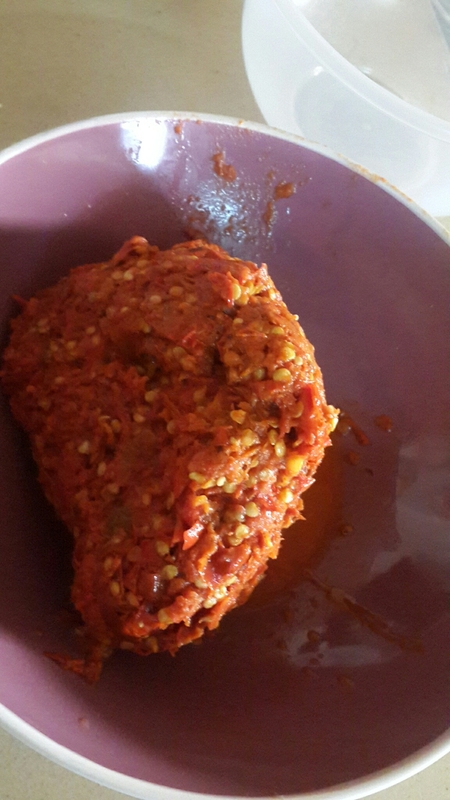 Allow pepper to fry, you’d know it is ready when all the water is completely reduced and you can see the oil begin to fry the pepper, now add the deboned flaked sardine. Stir it into the stew with a ladle. Now add your rinsed, and shredded vegetable. 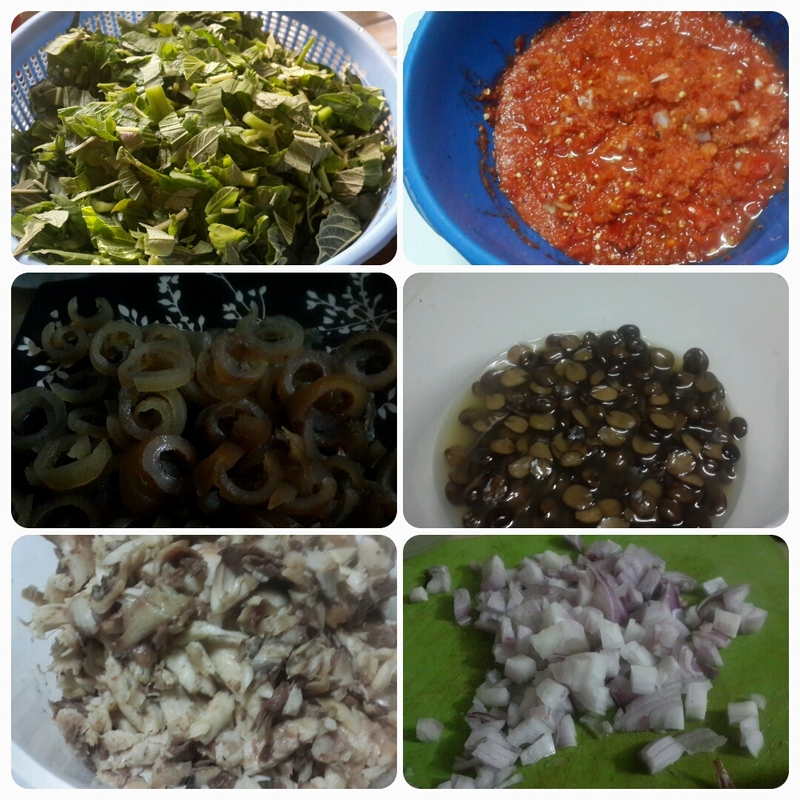 Stir the pot carefully from the bottom to top, till the pepper is well mixed with the vegetable. Turn the heat down and allow vegetables to cook for about 5 mins, because you want to retain the brilliant green colour and some crunch. Do not cover still. Once ready, turn off heat and wait about 10 minutes before you put a lid on your pot. Pair with any other food you like . 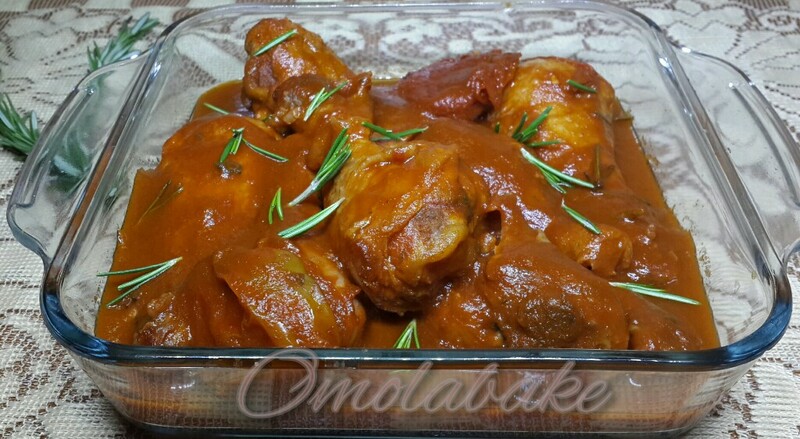 I paired it with Boiled Ripe Plantain. 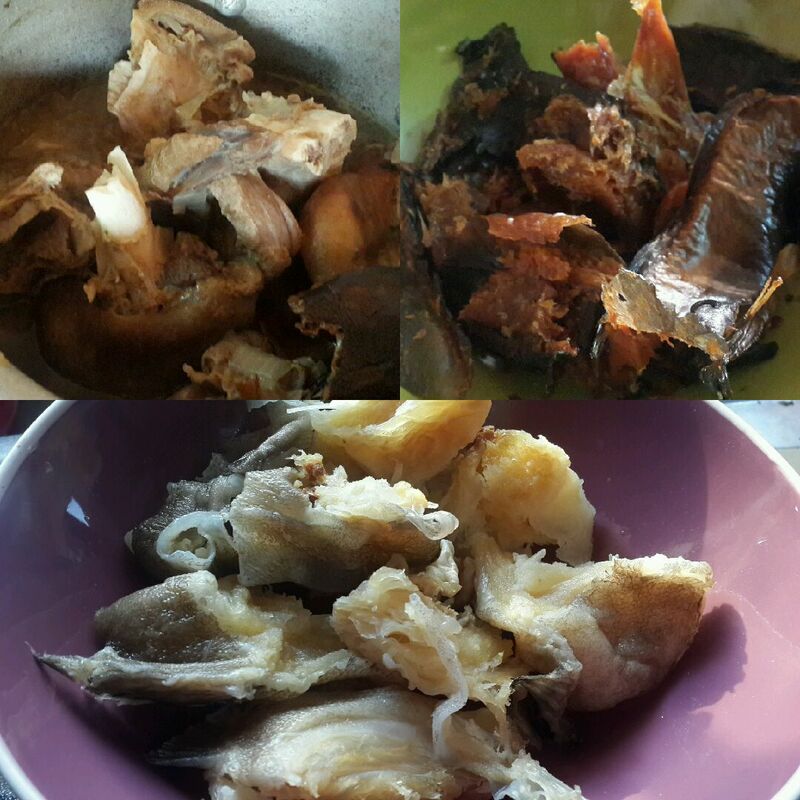 Sometime ago I tried my hands on a delicacy of the Urhobo people, Ovwovwo Soup. I had it with Starch and I liked it. 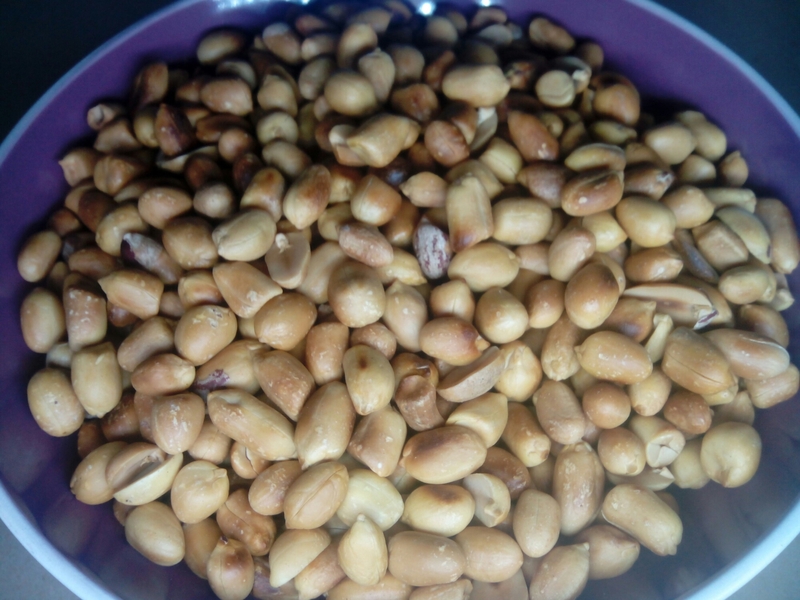 When I was going to make Egusi (Melon Seeds)Soup for Sunday lunch with pounded yam I remembered Ovwovwo and I pulled out my Uyayak ( Aidan Pods). 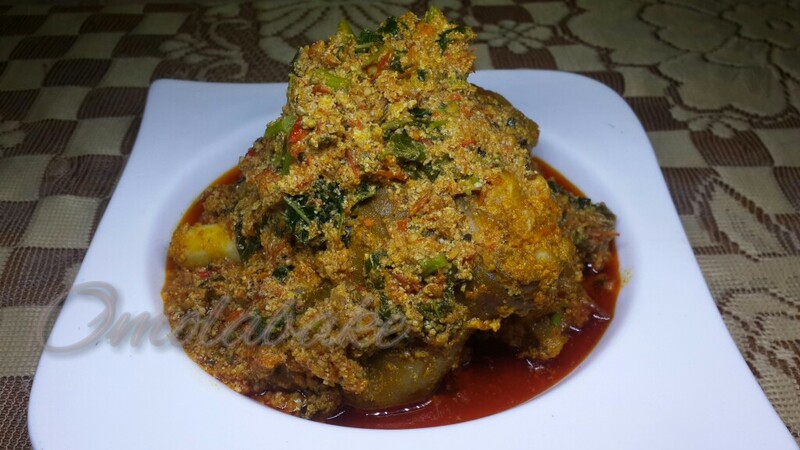 This is my Egusi yoruba egusi spotting south eastern ingredients. 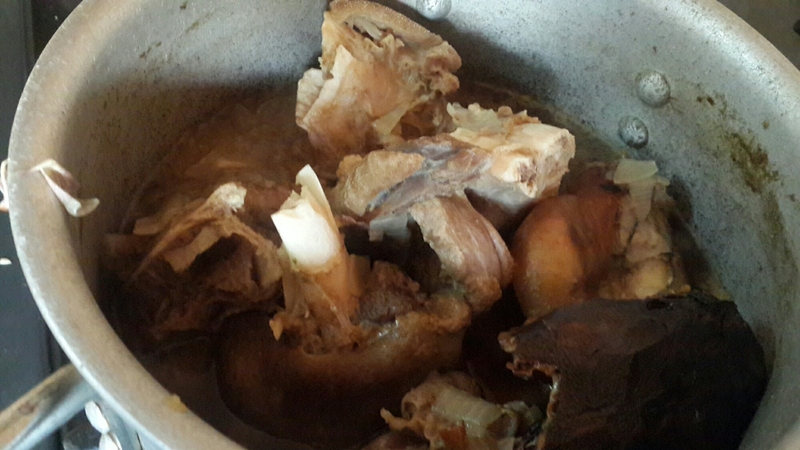 Boil your meats and save the stock. 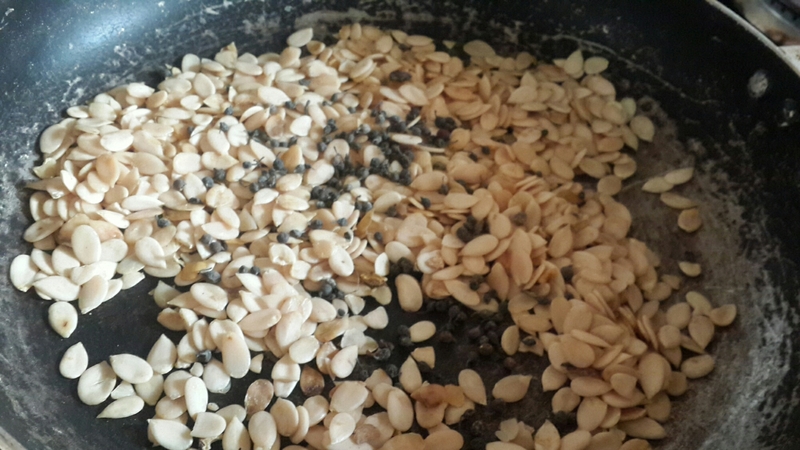 Lightly toast your egusi and uziza seeds, this would release the oils. 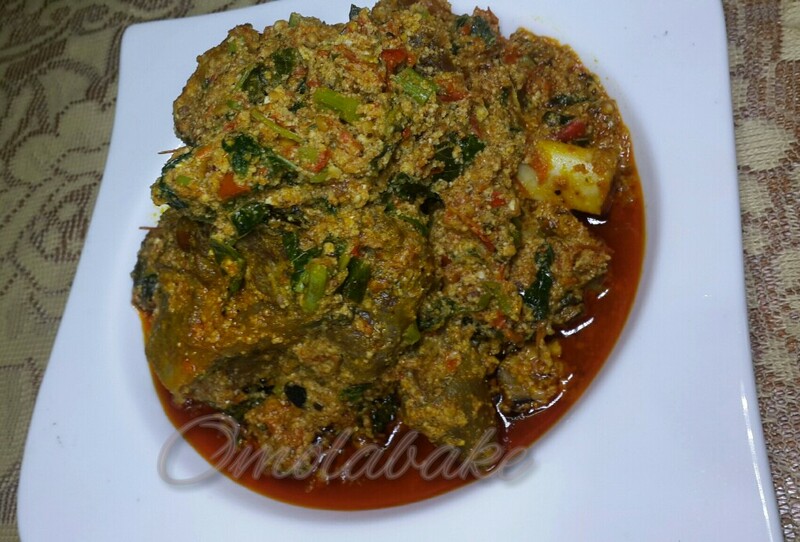 Blend one onion and mix with the egusi and set aside. Chop one onion into small bits. and add your onions , allow to fry for 3 minutes, next pour your pepper mix -the third onion goes into the pepper mix. Taste to see if the pepper is cooked. 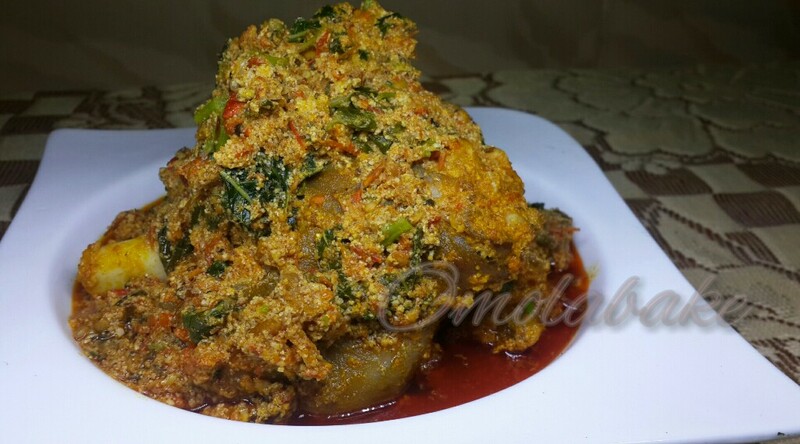 Once the pepper is done , add the blended egusi and uziza, you can add it in lumps or sprinkle it. 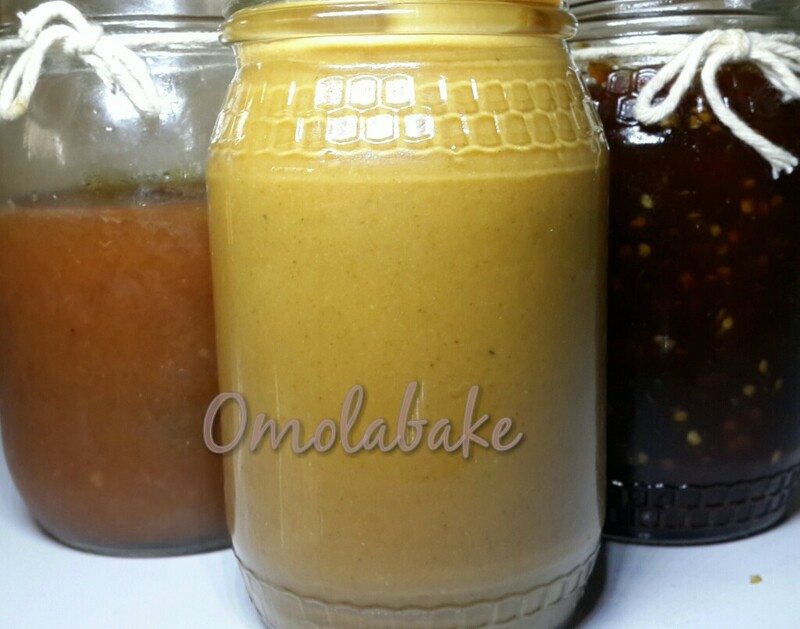 You may notice that the egusi soaks up all the fluid , add some more water, cook for about (with or without lid on)15 mins then add the vegetables. Cook vegetables for 5 minutes or less on low heat, so as not to over cook the vegetables. 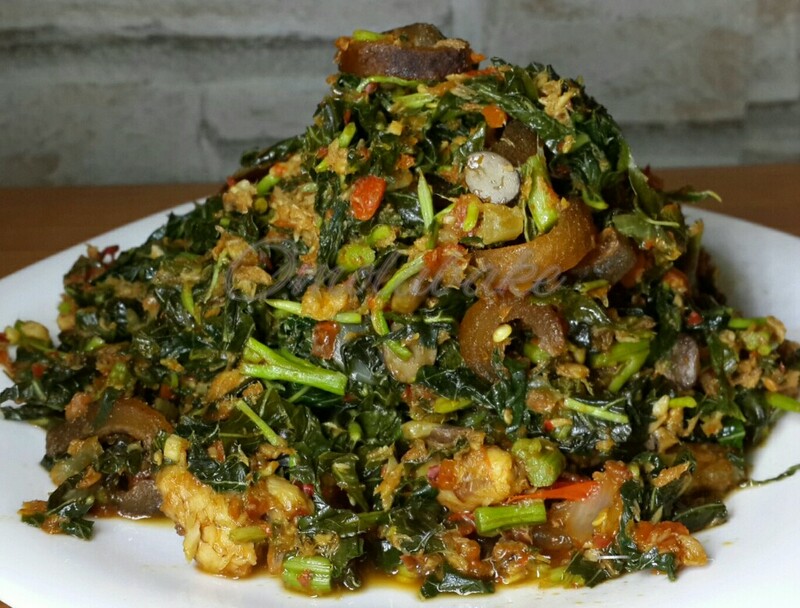 *If palm oil is not your cup of tea, please ensure to cook your with little or no oil. 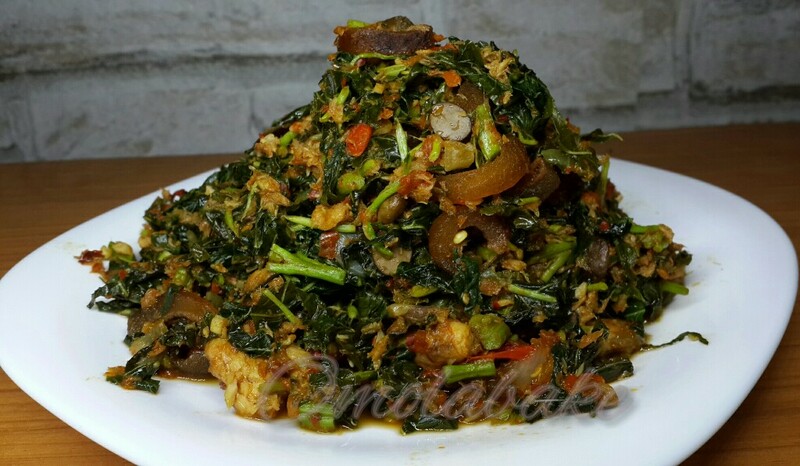 Egusi is already a very oily seed. 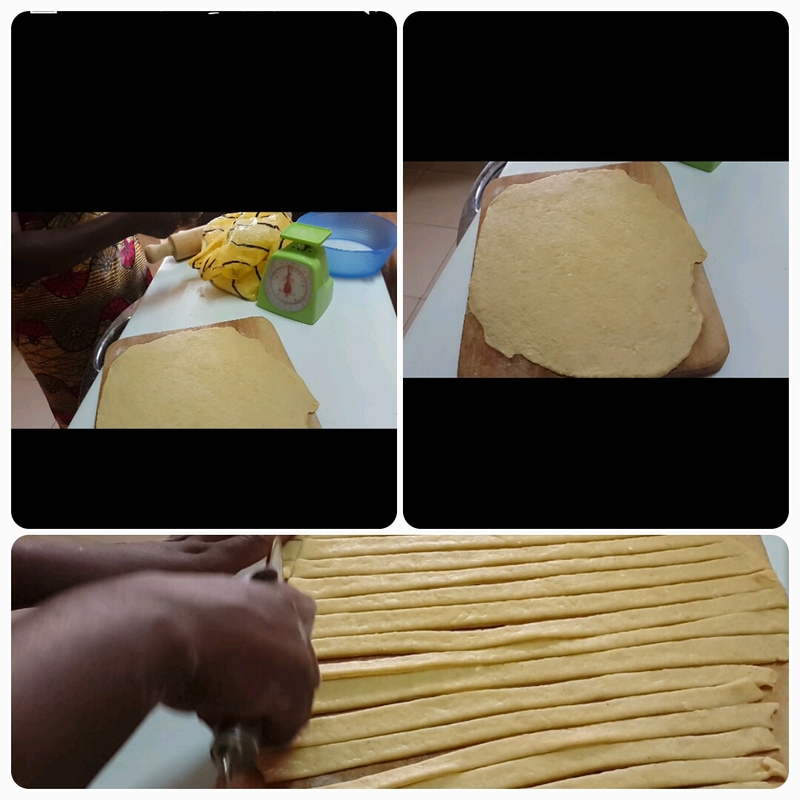 But I always tell people that a proof of well cooked egusi is that it gives off its oil. Once the experiment is plantain related, I can almost always never go wrong with Le Hubs. Tonight I decided to serve Plantain and Eggs with a flair and I loved and he loved it too. 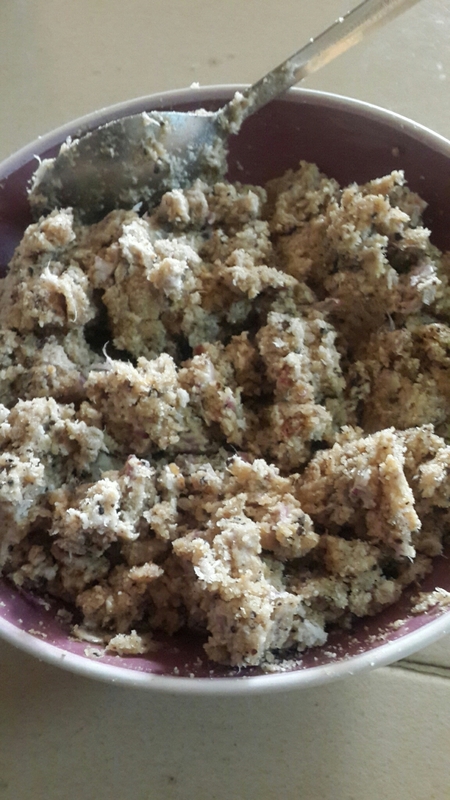 Boil Plantain with skin on till nearly cooked, peel and mash in a bowl. 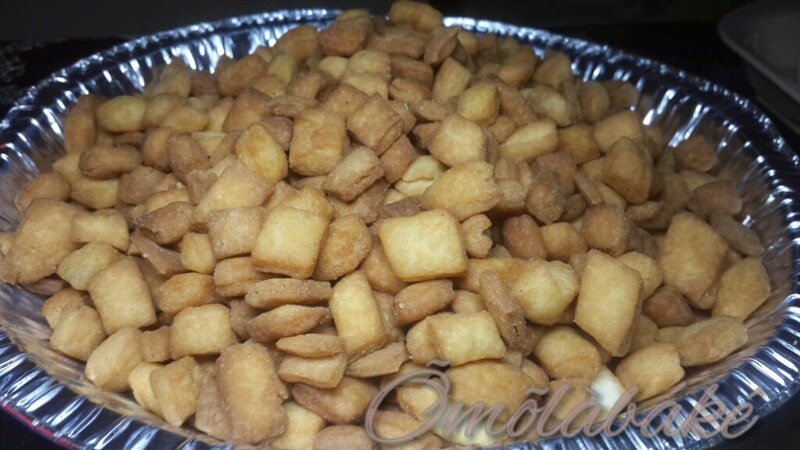 In a tart pan, spray on some cooking spray and spread the mashed plantain. Put into an oven pre heated to 350 °C . 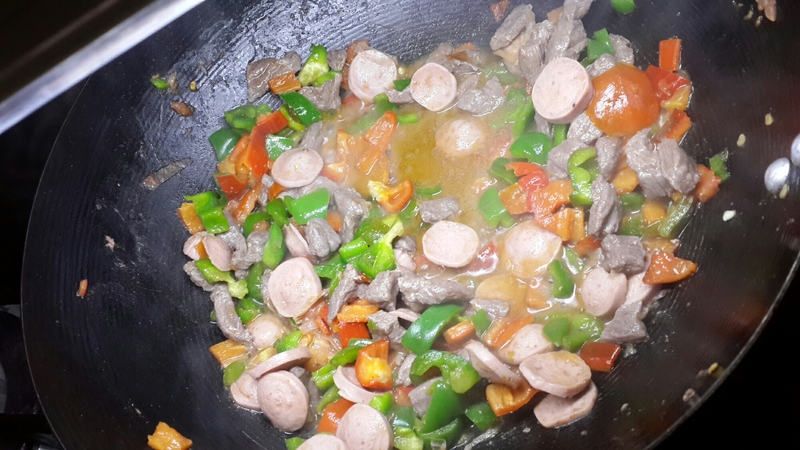 Chop peppers, tomatoes, sausage, in a pan sautée the mince meat for 5 mins next add peppers, add bouillon cubes and salt and pepper. Turn heat down, break and whisk eggs. Add oil to the sautéing vegetables, once hot add eggs. Stir all in, don’t let the eggs really fry. 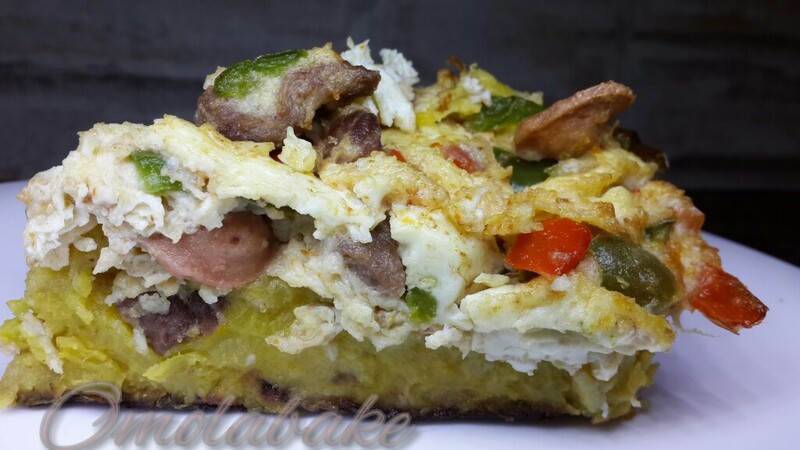 Turn off the heat and spread the egg over the top of the plantain in the oven. Let it bake for an additional 25 mins . Allow to cool before you cut with a pizza cutter. 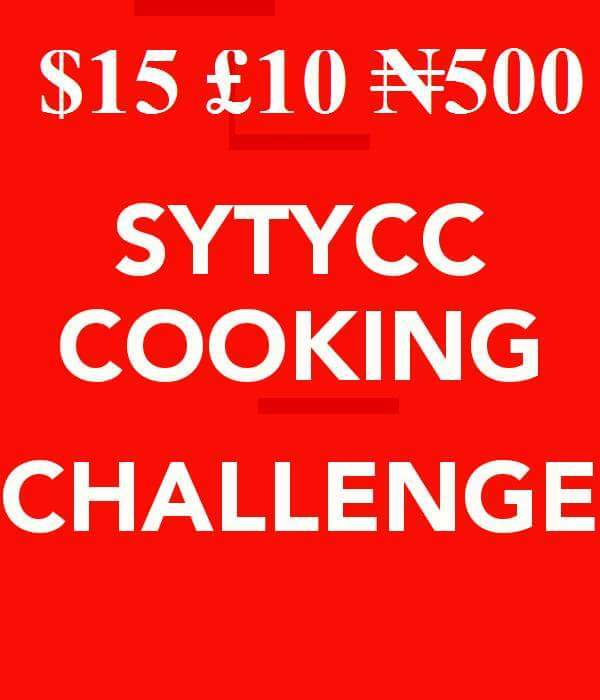 We have been challenged to cook a healthy meal for a family of 4 with 500 naira or $15 or £10 or whatever the equivalent is, in your country. 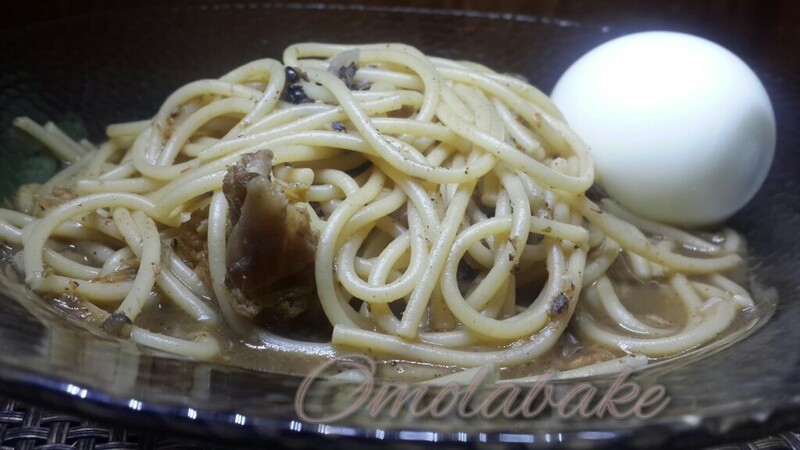 So i remade my Spaghetti with PepperSoup only on a tight budget this time. 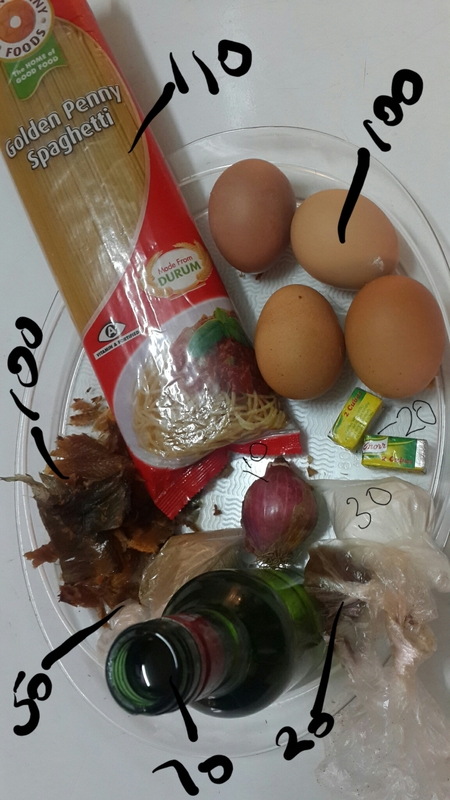 Items I went overboard by 10 naira due to a last minute onion purchase, I would do better for my next challenge. Simple one pot meal. All ingredients go in at the same time. Cook with a little too much water so you can have some broth for the spaghetti to swim in. You don’t need all the oil and salt is only to taste. I didn’t take pictures two nights ago as there was no time for that, so I remade it tonight. One pot meal. 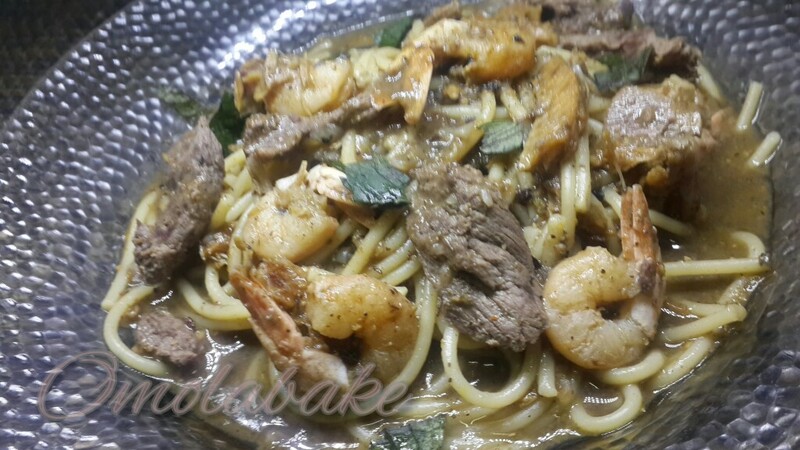 Cook all -except the shrimps- in water that is slightly more than enough to cook the spaghetti through, So as to have some pepper soup broth. Add shrimps 5 mins before you turn off the heat. 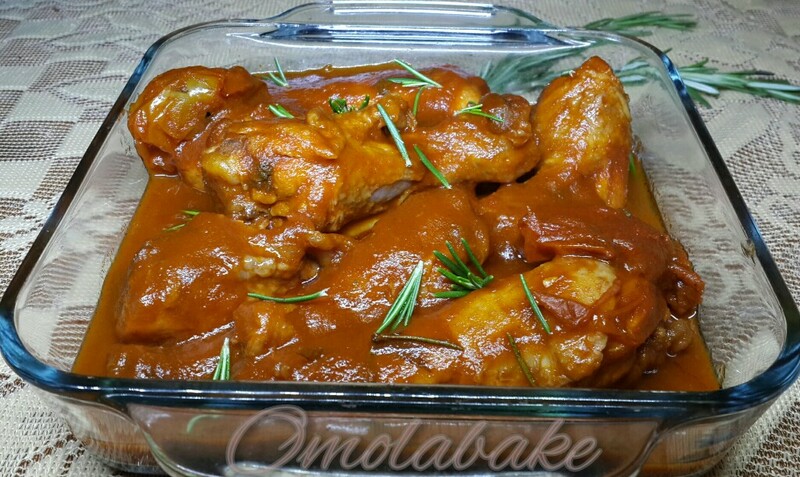 Add all ingredients asides chicken into a pot with a little water, allow to simmer for 5 minutes and add chicken, turn the heat to low and allow to cook slowly allowing the chicken to soak in all the flavours. First time I had this rice was years ago at an aunt’s (not biological but I call her aunt anyway) house. Her chef made it with smoked chicken, it was unforgettable. I quickly asked the chef for the ingredients but the only thing I remember thereafter was tumeric and ginger. 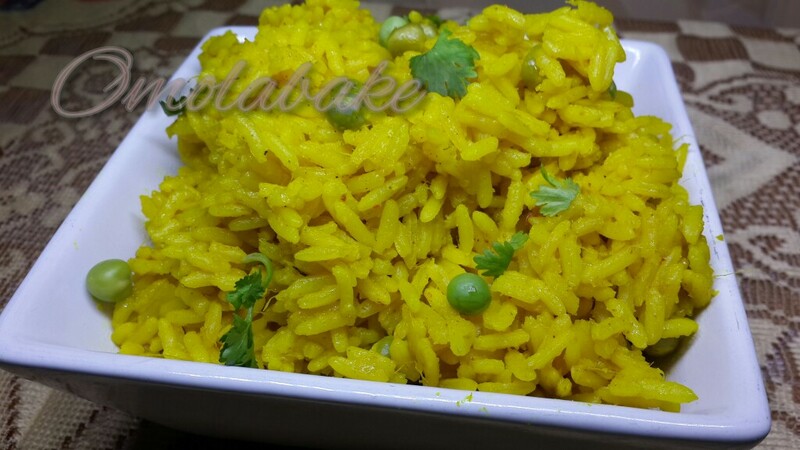 I forgot all about that rice until I saw it today on So you think you can cook -my favourite Facebook food group-. I knew immediately I had to make it for dinner. 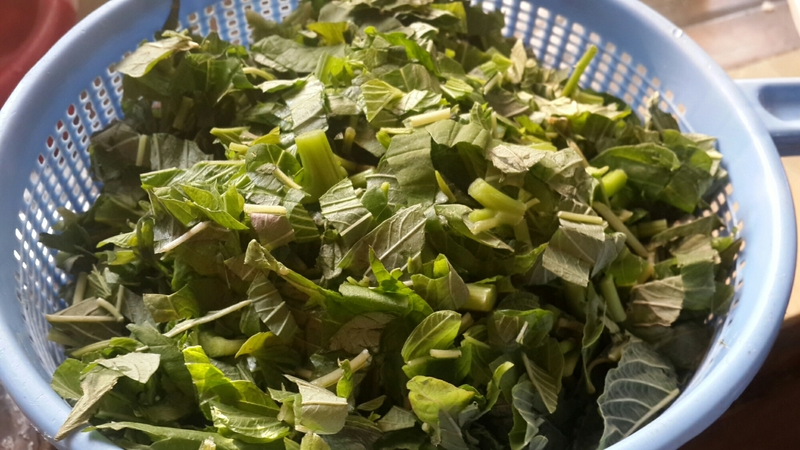 Green peas and parsley leaves for garnish. Peel ginger and garlic and blend to a paste. 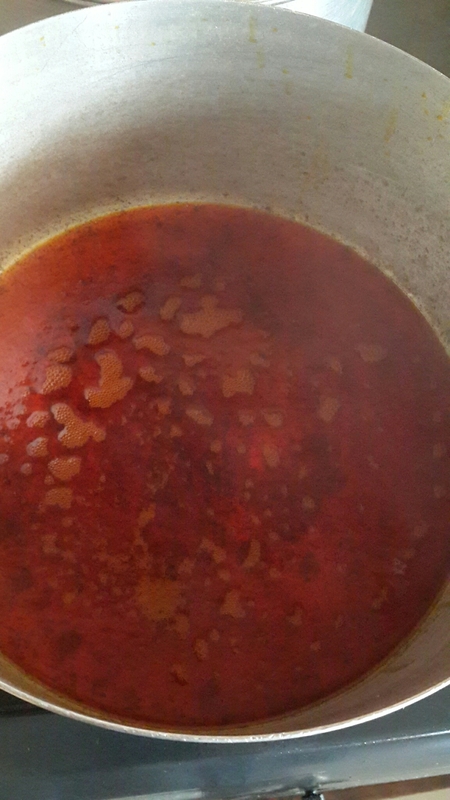 Place a pot with some water on heat, and add the paste, tumeric, olive oil, curry, salt, let it boil. Wash rice and pour into pot once water starts to boil. 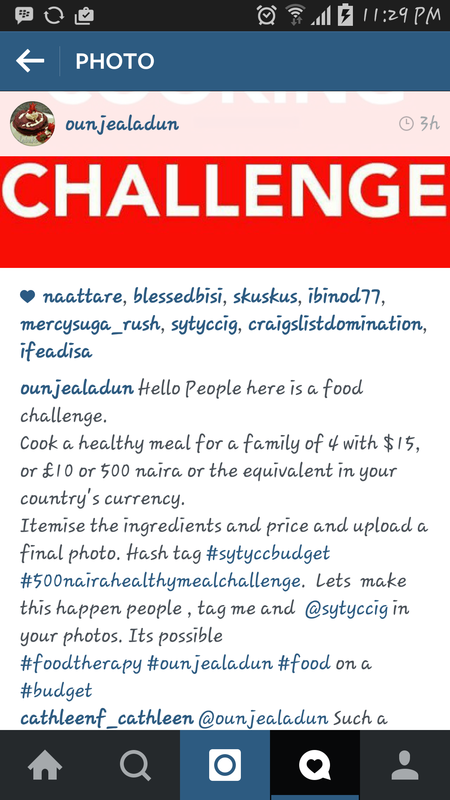 Cover and let cook till rice is done. Remember the plastic bag tip if the rice still seems hard and the water is almost dry. Add green peas when the water on top of the rice has reduced and you can only see bubbles from the underneath the top surface. This is so as not to over cook the fresh peas. 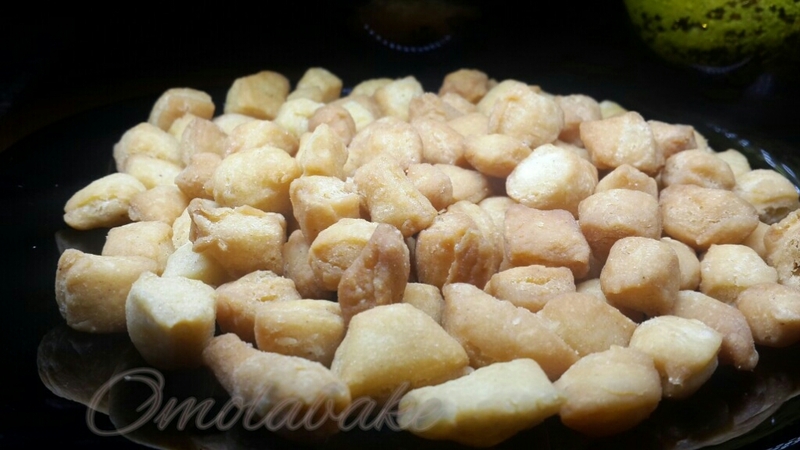 Chinchin is a very popular and one of the easiest to make snack in Nigeria. I do not know of its origin. But I have come to find that some of the easiest things to make are also the easiest to make a mess of. 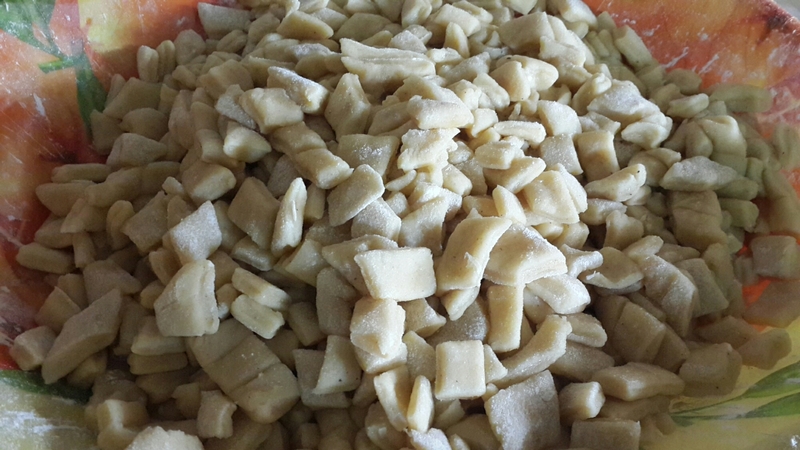 Many people have been struck by the “curse” of hard chinchin, even after following a recipe to the letter. It’s easy to blame the recipe, the ingredients, tweak it without much difference. This pictorial post should guide you. 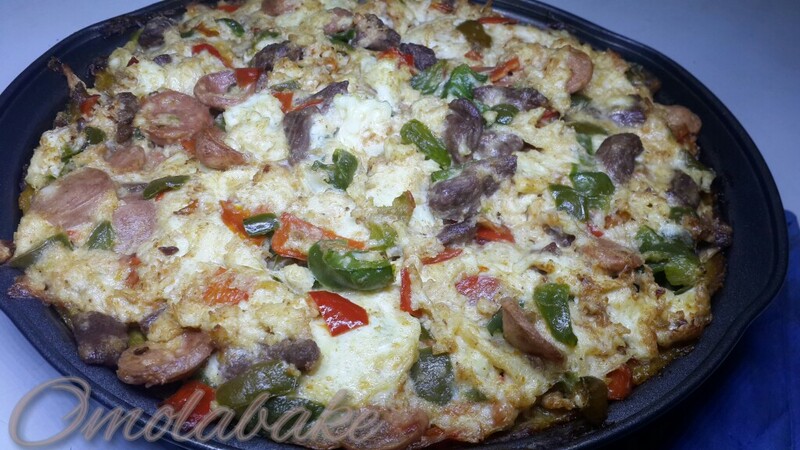 Make well in the center and add wet ingredients. 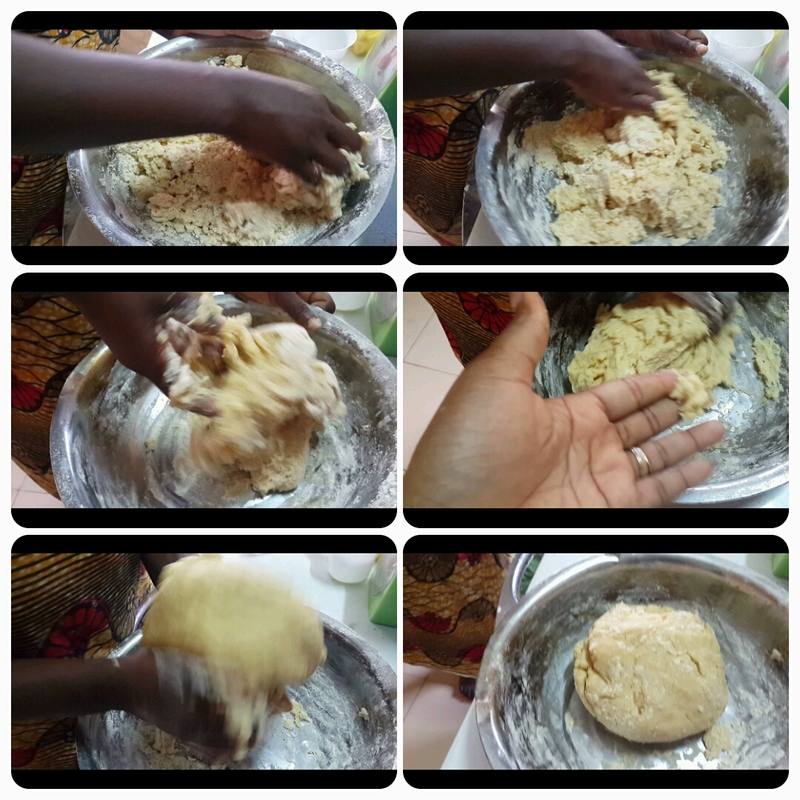 Mix all together till it all binds the mixture must not be sticky. This is where you apply the golden rule! DO NOT KNEAD (OR OVER WORK ) YOUR FLOUR !!! 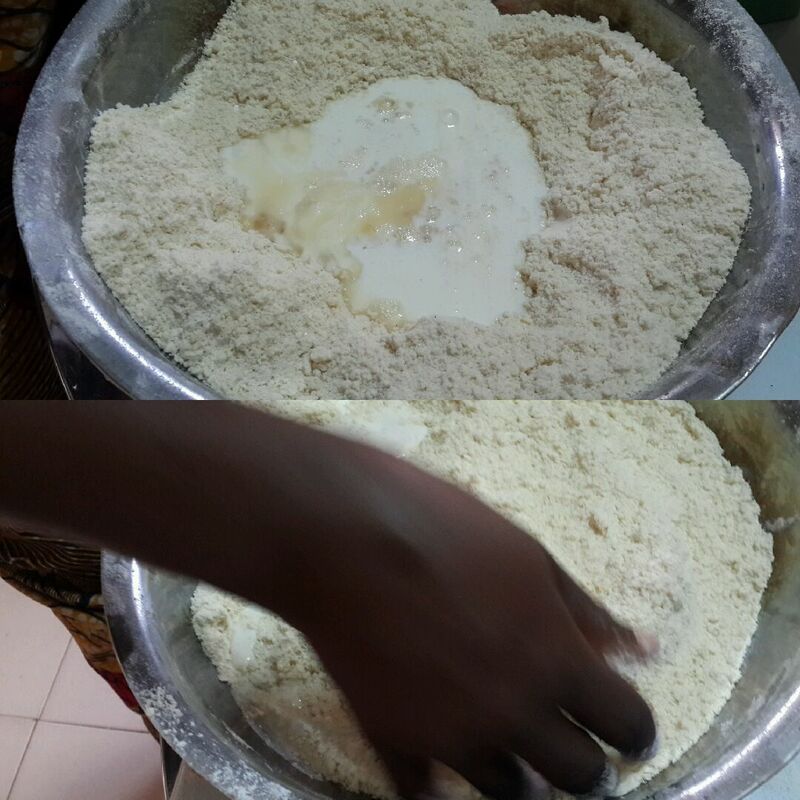 Most of the flour available in Nigerian markets have a high gluten level and when you knead you activate the gluten and this would make your chinchin turn out hard instead of soft and crunchy. Make into a ball and let your chinchin rest on a counter top or fridge for at leat 30 mins before you cut. 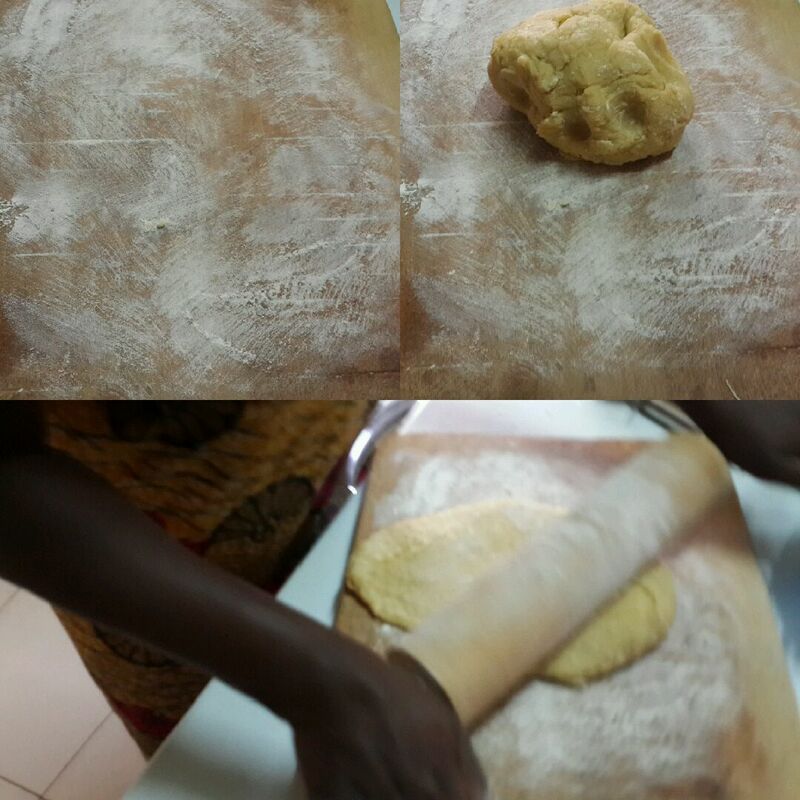 On a flour dusted board roll out the dough, using a cookie cutter, cut into your preferred lengths or shapes. Continuously dust the board so the dough doesn’t stick to it. 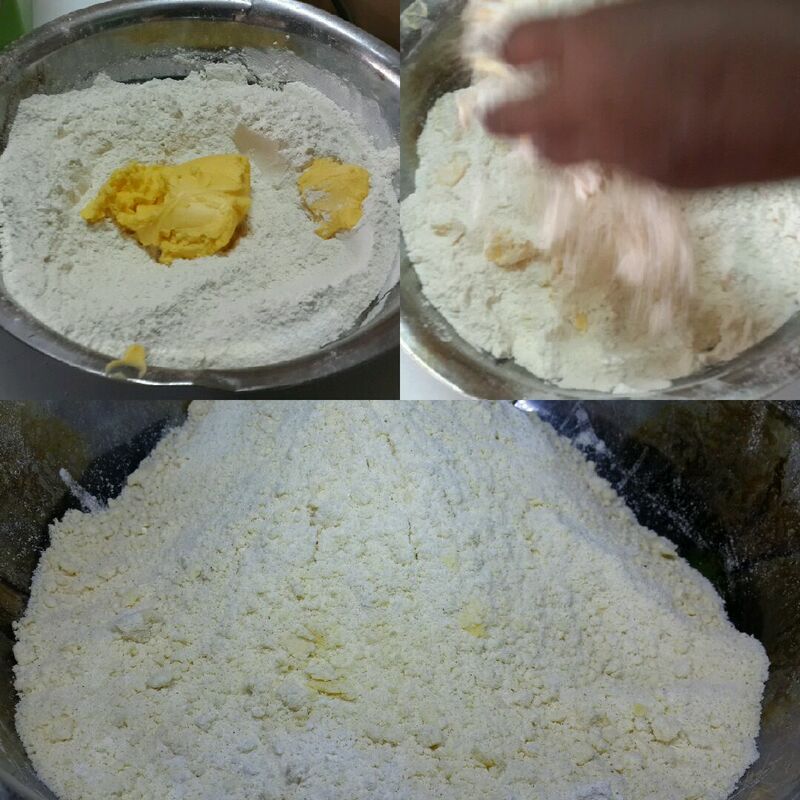 If you live outside Nigeria where the flour is sold in labeled packs, I’d recommend Cake Flour for your chinchin, if you don’t have cake flour, use you All Purpose Flour but do not over work it. 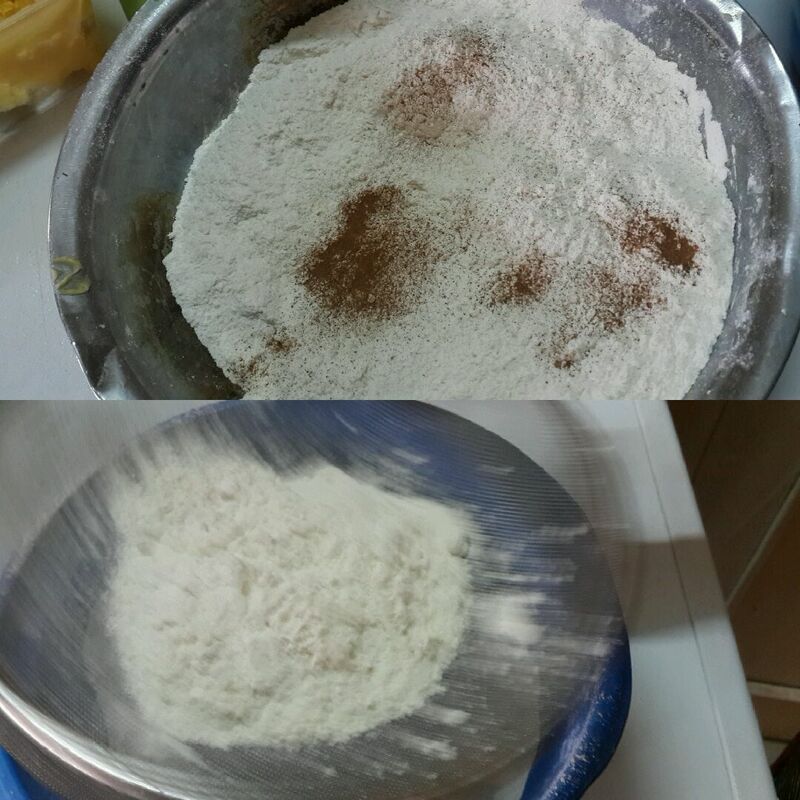 Stay away from Bread Flour if you want to make chinchin. Welcome to another one of my how-to series. 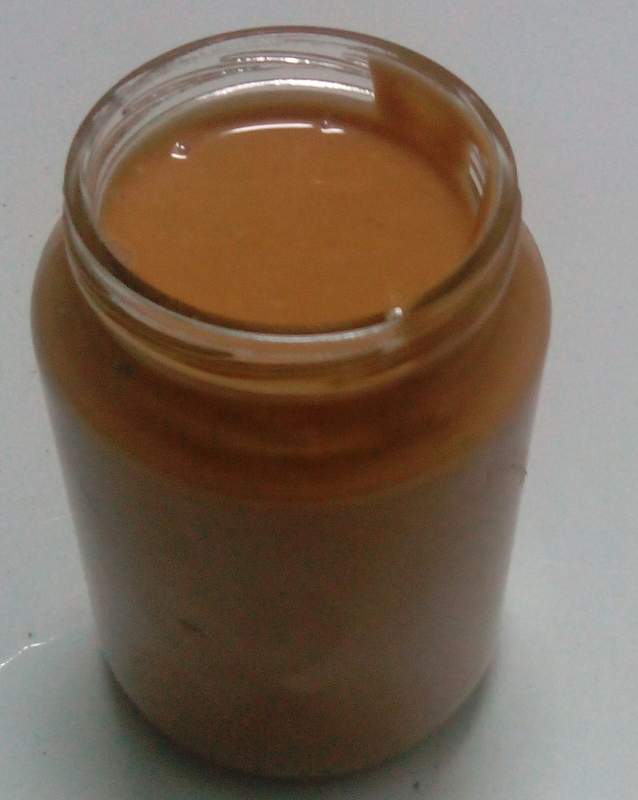 Today I’d be showing you very easy ways to make your own peanut butter. I promise you, you’d dump the store bought brands once you know how to do this. 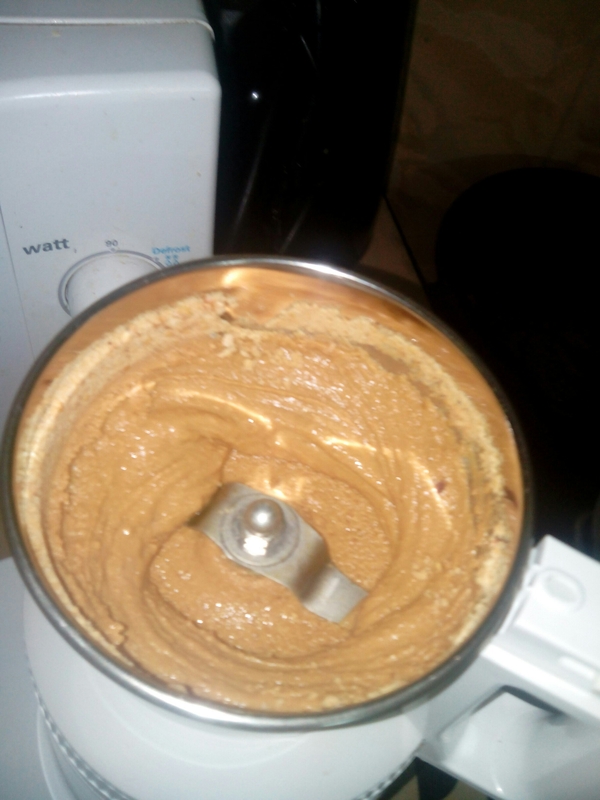 Making peanut butter is as simple as ABC. In fact I have never bought a jar of peanut butter with my money. This is what you need to know. 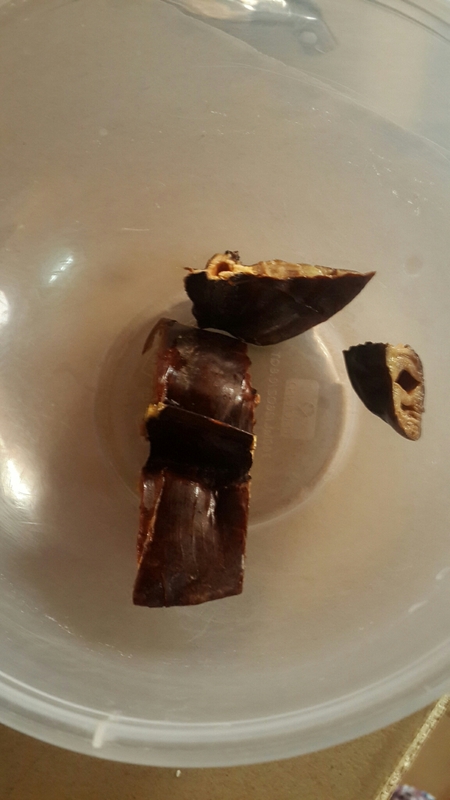 Ehu Seeds (Calabash Nutmeg) if you are looking for traditional tasting peanut butter like the one Igbo people serve with garden egg. Get out the dry mill of your blender. 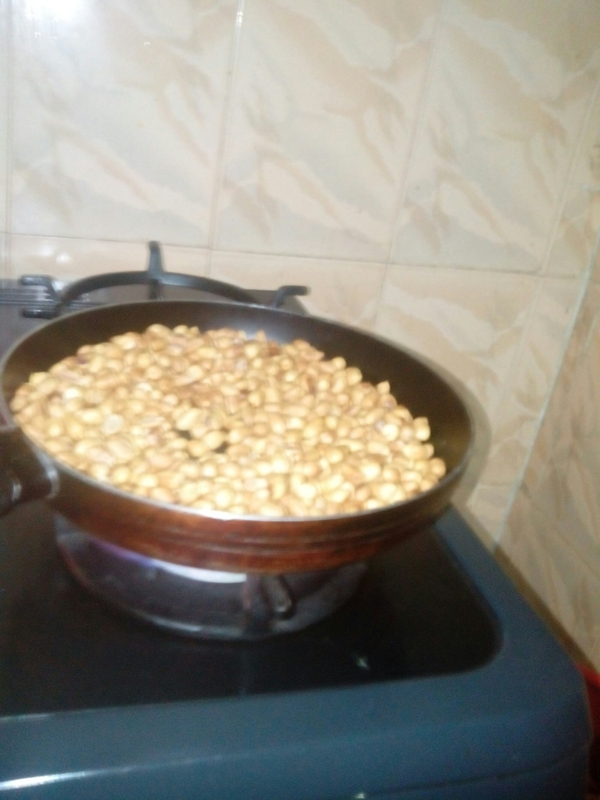 If you are not sure about the freshness of your peanuts turn it into a dry frying pan and stir fry on low heat for about 3-5mins. To avoid rancidity. Do not burn . Then pour into your dry mill and blend on medium speed. In 15 seconds most of your nuts would be crushed and it would have released it’s oil. 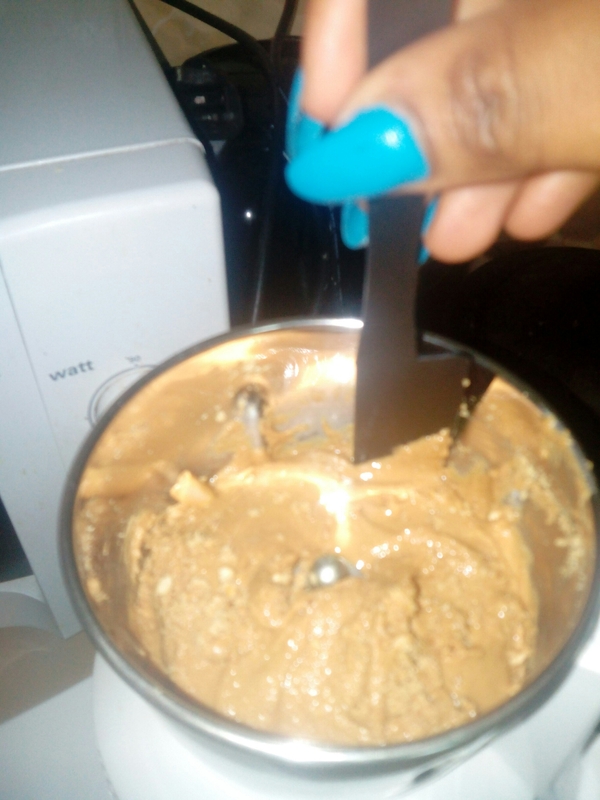 Use a spatula to scrap the sides and stir slighty. If you wish to add honey or pepper, this would be the time to add it. 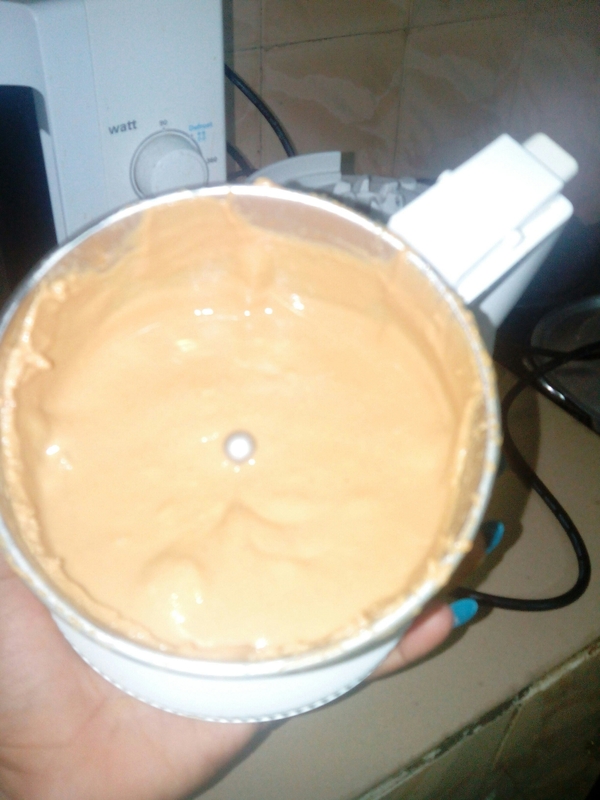 Then blend again at high speed for about 45 secs or as long as it would take to get it to a smooth slightly runny paste. Voila there your have your own peanut butter.